And with this progression emerges an entirely new niche of mobile devices – the phablet, a phone whose screen is 5 inches or more. 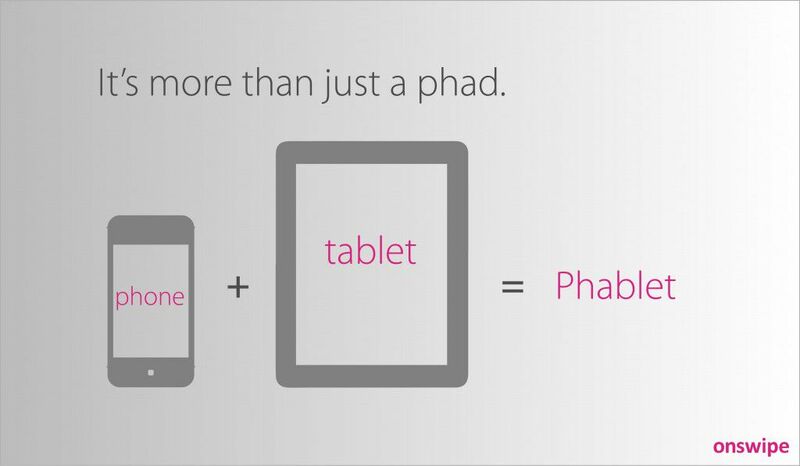 The phablet aims to have the mobility of a cell phone while having the clarity and functionality of a tablet device. However, as ideal as this sounds, is the phablet merely a fad destined to burn out with time, or is it a viable solution that successfully incorporates the respective functionalities of both types of devices? Moreover, will phablet sales cannibalize sales of existing tablets and smartphones within companies like Samsung? And if so, is it a problem worth addressing? Let’s take a closer look at the numbers to answer this question. According to a Barclays forecast, the 143 million phablets shipped this year will increase to 350 million in the next 3 years. Granted, the phablets have not caught on nearly as much domestically as they have internationally. Phablets have garnered tremendous accolades in Asia, where the bulk of phablet sales occur. Still, Samsung sold 8 million Galaxy Notes during the last quarter of 2012, a small statistic compared to the 20 million Galaxy SIIIs it sold within the same time frame. Phablets undoubtedly fill a niche that has been missing ever since the smartphone era started. For example, they attract new customers who do not want to purchase a tablet and a smartphone separately. 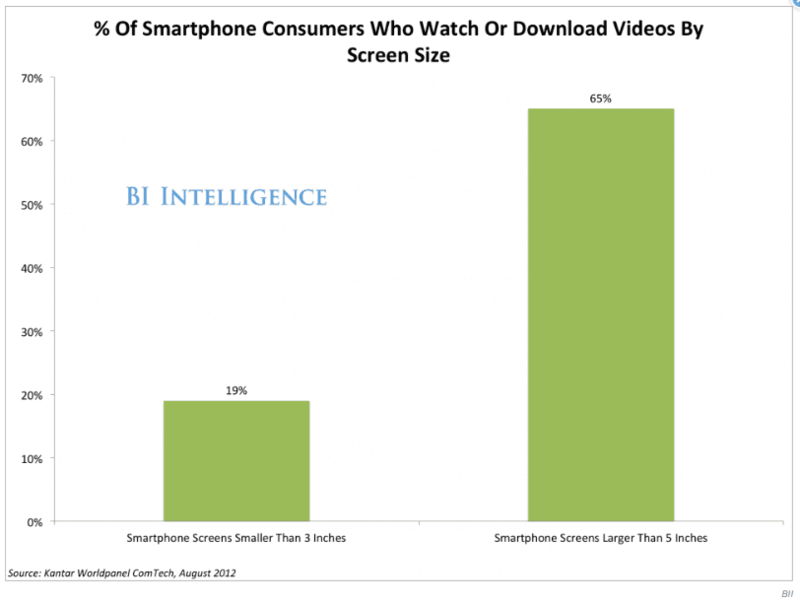 Thus, there is probably minimal concern about cannibalization of sales, because the phablet audience is separate. By combining the ideal aspects of a tablet and smartphone, a phablet’s screen clarity is superior to that of conventional smartphones, while its mobility is better than that of tablets. The primary drawback to phablets, though, is their potential reputation – manufacturers must be cautious about the way they market these devices, since they are prone to being perceived as either inefficient smartphones or compromised tablets. This leaves tremendous potential to make media experiences better than ever. With a faster processor and a larger screen, users will continue to transition from using their desktop computers to reading publications and watching videos on their mobile devices. What does this prospect mean for mobile platforms like Onswipe? More refinement. More beauty. More time devoted to reading through content. We think that the phablet is eventually going to be an integral part of mobile traffic – more people will be using these devices on the go than they will tablets because of their more compact size. They will simulateneously spend more time browsing content on the mobile web than they would on a conventional phone as well. So there we have it: increased time spent on a publisher’s site as a result of an enhanced user experience from a beautiful screen and a portable size. The combination of a larger screen size and lightning fast LTE networks facilitates a sort of transition to increased media viewership, but there are also a couple issues with the Phablet that must be addressed. Seeing the Galaxy Note in person immediately elicits the response, “That’s a cell phone?! It’s huge!” because it doesn’t fit too well in your pocket or hand. Another potential issue is battery life – larger, brighter screens, as aesthetic as they are, require significantly more power than do conventional smartphones. But will these issues be enough to prevent consumers from purchasing these phablets? If we look at the forecasted statistics, the answer would be no. It appears that phablets are here to stay, although their sales volumes will remain lower than those of smarthones and tablets for the time being.